Mr. Benoit Schapas of the EU Delegation to Israel awarded prizes to the winners of the Israeli competition for young scientists. 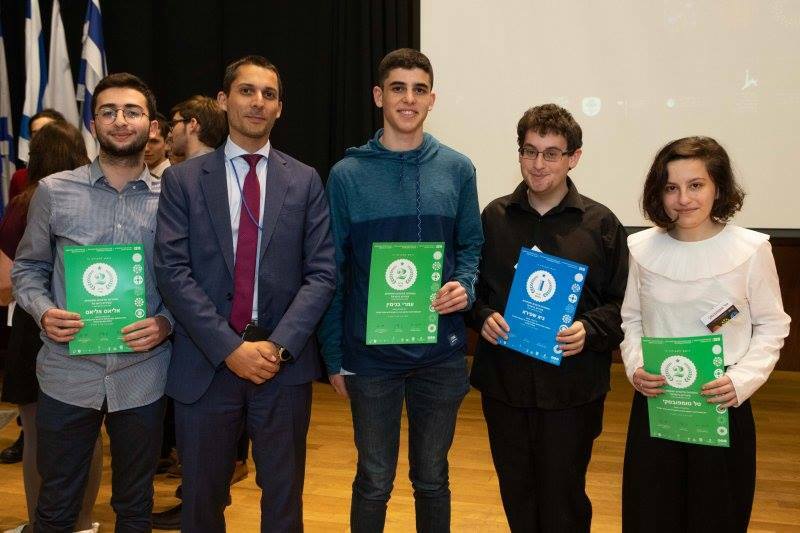 The young winners will represent Israel in the 31st European Union competition for young scientists to be held in Sofia, the capital of Bulgaria, this September. The EU Contest for Young Scientists (EUCYS) is the most important initiative promoted by the EU and the member states to identify and encourage excellent young people, researchers and scientists of the future. The event is part of the EU science programme, Horizon 2020, in which Israel has also participated now for over 20 years.